Upcoming contact information & links policy change. Did you revise your eBay shop listings? eBay, the eCommerce giant has announced another change in its policy twice in a row in 2017. The first one was removing active content from your eBay shop product listings. And the second one, the upcoming change is about removing contact information & links directing buyers to other websites. It will be effective from September 2017. This might affect your listings. An overview about what the proposed change is all about. Removing contact information From September 2017, sellers will no longer be allowed to share their contact information in item descriptions, images, eBay listings or eBay store. Seller’s contact details will still be visible & accessible in seller information section & seller profile. eBay has advised to update your active listings by removing contact details. Changes in links policy eBay has also proposed changes in their links policy. Links directing buyers to a site other than eBay will not be permitted. Only links from approved domains will be allowed. You need to revise all active listings, shop templates, product images, banners, product descriptions by removing your contact details from it. Also see that there are no links that directs buyers to another websites or pages. Updating thousands of listing will take time. But our expert team can revise your product listings in few days. Additionally we will help you with removing active contents if any. That’s is not the end the list is long. We can do the same for you. Browse our portfolio page & take a look at our recent eBay shop & eBay listing templates. Request a free quote from us. 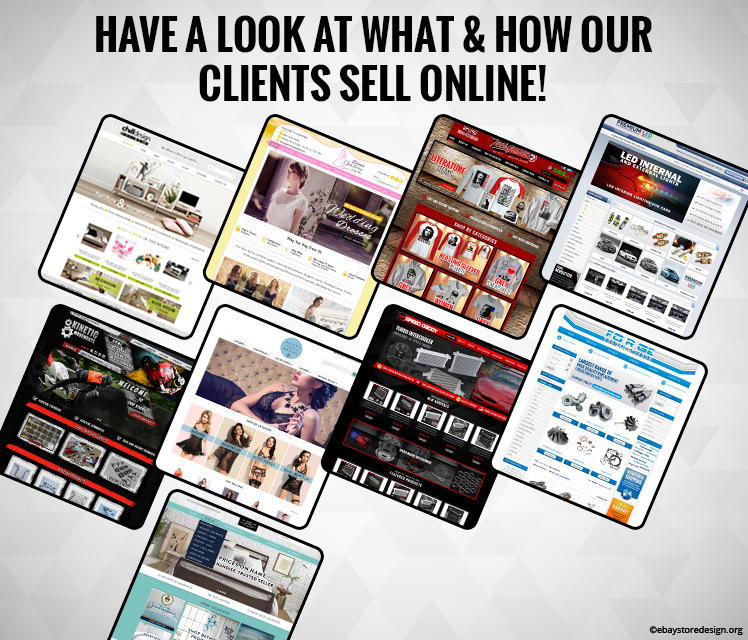 Have a Look at What & How our Clients Sell Online! Custom eBay store designs are always an eye soothing experience. They give extremely fantastic visual to the visitor & tempt them to click on what the seller is offering. This is the major reason for our clients to go mad behind our custom eBay store designs. In this blog we have included some of our recently designed eBay stores. No words just have a look why they make huge sales. You can contact us for a fully custom made eBay store. These optimized designs lay a great impact on buyers & overall returns of your store. Get FREE quotes & order one for your eBay store too! 10 Ideas to Promote your Online Business! Now you own an online store with fair enough sales, but is that sufficient for you. Is that what you wanted? Your store is set & running and now it’s time to drive huge traffic towards your store. It is always good to research new ways to promote business online. 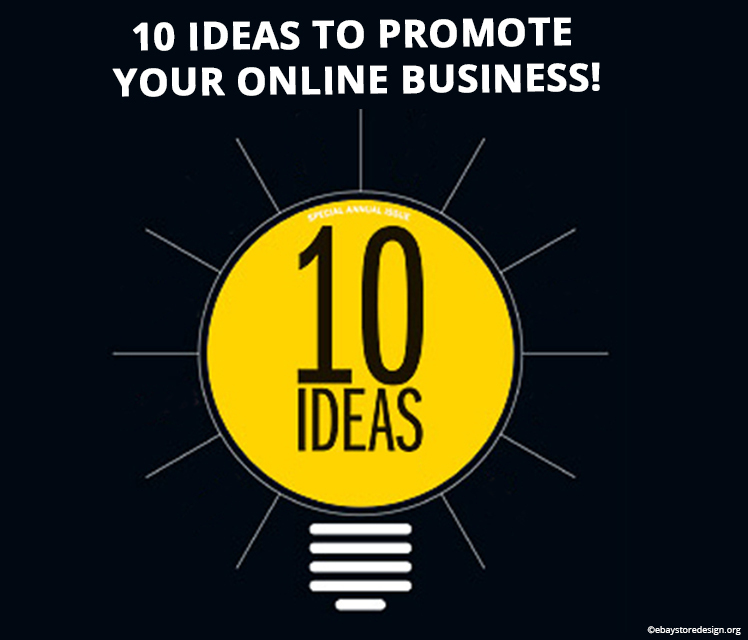 In this blog our expert team has integrated 10 ideas to promote your business. Read them. No need to spend all your time doing this, just use automated email campaigns. Offer free gifts, coupons, discounts in mail. It is the most affordable way to increase leads if you cannot hire real time persons for marketing job. Affiliate program will motivate visitors to promote your product in return of commission. Ask famous bloggers to review your product on their site. These bloggers have huge following & giving you heavy traffic & sales. Start writing your own blog because it’s an amazing way to promote your business. Your blog if written excellently can drive sales & capture attention of media & other bloggers to promote you. With 400 million active users instagram tops the chart. Use instagram to share product images & videos. Ask high profile instagram accounts to promote your product by sharing them. Visuals speak more than words and YouTube is the best media for product promotion in a creative style. Check it out. Don’t leave anything unturned. Use Facebook, Twitter, Pinterest, LinkedIn and Google+ to promote your product. They are all excellent. All those methods mentioned above are no more fancy terms for you or any online seller. Everybody is aware of it so just dive into this pool and get desired results. Our team of experts has an excellent flair in eBay designs decorated with all the features mentioned above. Get FREE quote for responsive eBay listing template. Contact us for custom eBay store designs for rock solid sales on eBay. 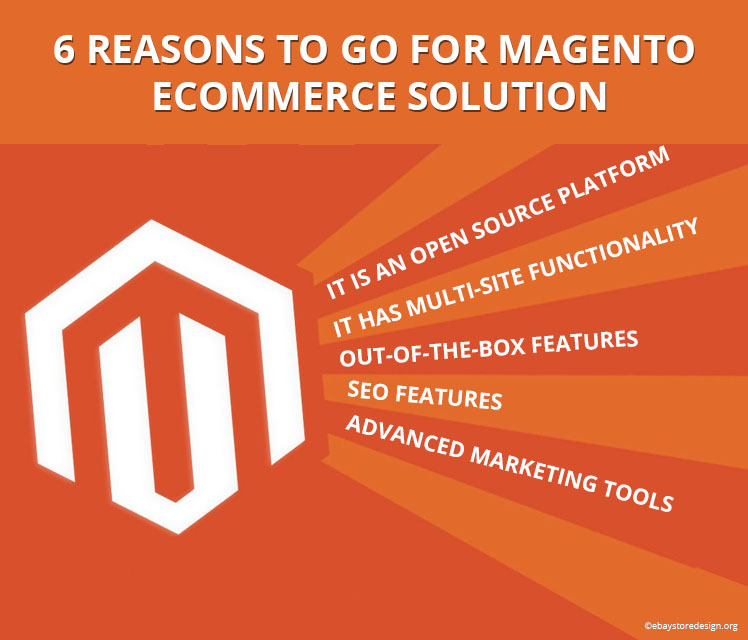 First thing first, why you should go for magento eCommerce solution? It offers multi store functionality, User & SEO friendly, sales tracking, a large pool of extensions to select from, offers customized solutions & much more. It offers a series of extraordinary features that a store owner would dream of. Lets study the below mentioned 6 reason to go for magento. Magento is an open source eCommerce platform in terms of cost, returns, sales, buyers & much more. This makes magento more beneficial compared to other eCommerce platforms. Multi site function is an amazing feature that makes Magento the most preferred eCommerce platform among sellers. This feature allows sellers to create additional websites on their own unique domain. Magento CMS offers standard eCommerce site that includes customer accounts, order management, catalog & product browsing, advanced search feature, multi payment processing gateways & shipping. It also offers marketing & promotional tools. The SEO features of Magento offers meta tags, SEO optimized descriptions, clean URLs & HTML with site navigation. Advanced Marketing Tools Magento offers integration of google analytic, sales & store tracking with advanced marketing insight. It enables to track sales, traffic, store performance & report filtering by customers. Magento extensions help sellers & developers to customize their Magento stores. There are numerous apps with review & rating that help you decide which is the best. So, what do you think? Do you need Magento web design services? Want to thrive on this super incredible eCommerce platform? Request a FREE quote from our expert team. 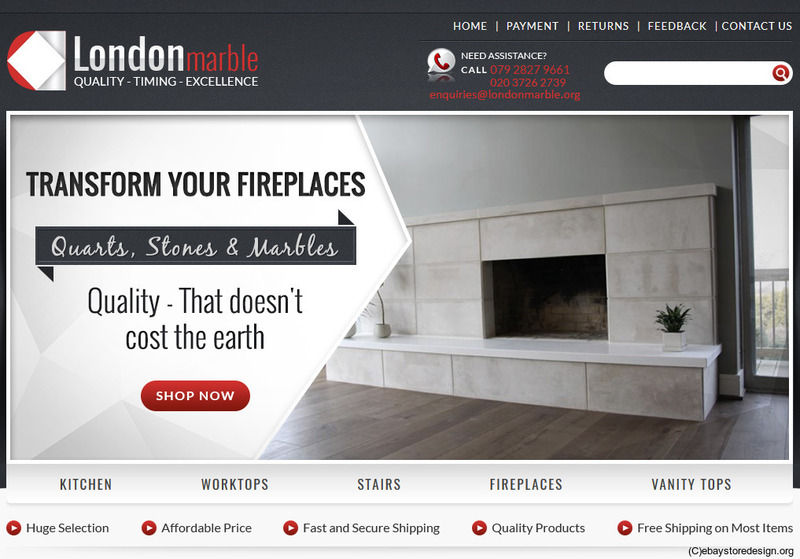 Get a FREE quote now so that we can start your magento design instantly. Browse our portfolio & have a look at our current work.